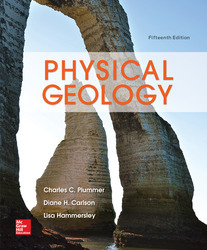 Physical Geology, 15th edition, is the latest refinement of a classic introductory text that has helped countless students learn basic physical geology concepts for over 25 years. Students taking introductory physical geology to fulfill a science elective, as well as those contemplating a career in geology, will appreciate the accessible writing style and depth of coverage in Physical Geology. Hundreds of carefully rendered illustrations and accompanying photographs correlate perfectly with the chapter descriptions to help readers quickly grasp new geologic concepts. Learning Objectives have been added to each chapter to help students focus the study of material and to understand the kinds of questions they should be able to answer once they have mastered the content. A major revision to the problems at the end of chapters. The new and revised questions reflect the learning objectives and follow the flow of the chapter more clearly. New boxes, sections, and photos detailing recent geologic events such as the damage to coastal areas from 2012 Superstorm Sandy; the devastating 2013 flash floods in Colorado; the catastrophic collapse of sinkholes that have taken houses, cars, and lives; dust storms (haboobs) in Phoenix, Arizona, and elsewhere in drought-stricken areas; and the meteorite impact in Chelyabinsk, Russia. Environmental issues are also addressed in this edition, such as hydraulic fracturing “fracking” for natural gas in shale and the consequences to groundwater supply and contamination (box 11.3). A chapter-by-chapter breakdown of changes/additions is available in the Preface. In Greater Depth Boxes. These boxes discuss phenomena that are not necessarily covered in a geology course (e.g., Precious Gems) or present material in greater depth (e.g., Calculating the Age of a Rock). Environmental Geology Boxes. These boxes discuss topics that relate the chapter material to environmental issues, including impact on humans (e.g., Radon-A Radioactive Health Hazard). Planetary Geology Boxes. These boxes compare features elsewhere in the solar system to their Earthly counterparts (e.g. ; Stream Features on the Planet Mars). Earth Systems Boxes. These boxes highlight the interrelationships between the geosphere, the atmosphere, and other Earth systems (e.g., Oxygen Isotopes and Climate Change). Web Boxes. These boxes summarize material that is further explained on the book’s website. Photos in the text are accompanied by an illustration depicting how a geologist would view the scene. Students gain experience by understanding how the trained eye of a geologist views a scene and understands the historical processes that have occurred, resulting in what they are seeing today. Outstanding art program features accuracy in scale, realism, and aesthetic appeal. Summaries bring together and summarize the major concepts of the chapter. Terms to Remember include all the boldfaced terms covered in the chapter so that students can verify their understanding of the concepts behind each term. Expanding Your Knowledge Questions stimulate a student’s critical thinking by asking questions with answers that are not found in the textbook. Exploring Web Resources describe some of the best sites on the web that relate to the chapter.